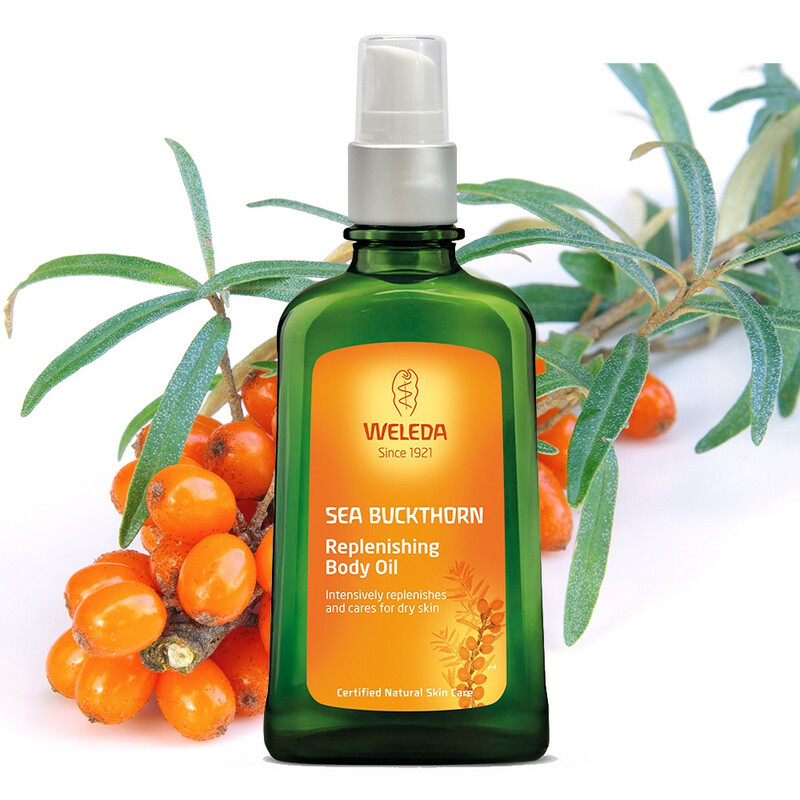 Weleda Sea Buckthorn Body Oil contains biodynamic Sea Buckthorn Oil, rich in essential fatty acids, Provitamin A and Vitamin E to intensively nourish and protect the skin especially weakened by environmental conditions such as wind, cold or extended exposure to the sun. This easy to apply light oil leaves skin feeling soft and supple. Protects against the stresses of a modern lifestyle. Protects against the stresses of modern lifestyle and the damaging effects of the environment. Together with light sesame oil, revitalising sea buckthorn helps keep the skin feeling soft and smooth. The fresh and fruity fragrance relaxes and refreshes. Ingredients: Sesamum Indicum (Sesame) Seed Oil, Hippophae Rhamnoides Oil, Fragrance (Parfum)*, Limonene*, Linalool*, Benzyl Benzoate*, Benzyl Salicylate*, Geraniol*, Citral*, Farnesol*.